Ob: Li Yong tong bao (San Fan Rebellion, 1674 - 1678). 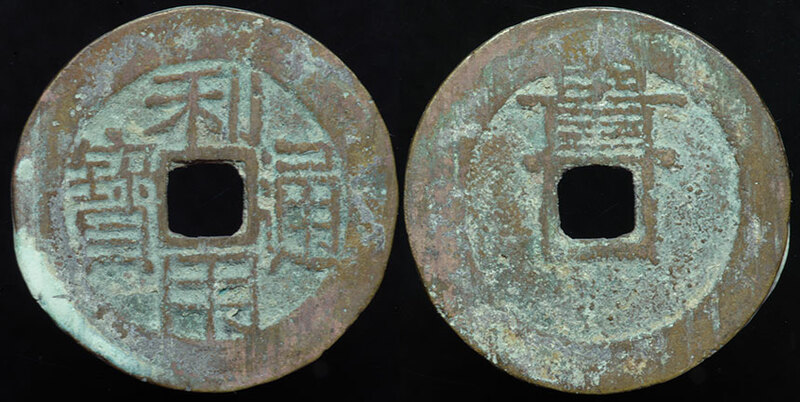 Rx: Gui above (Guizhou mint). Type 2 has a square head, two dot 'tong'. Hartill #H 21.94; FD2145, S1337. The weight is 3.25 g with a diameter of 24mm. The Moneta Library has a very informative article on all the the Ming Rebels, Southern Ming and San Fan rebellions.